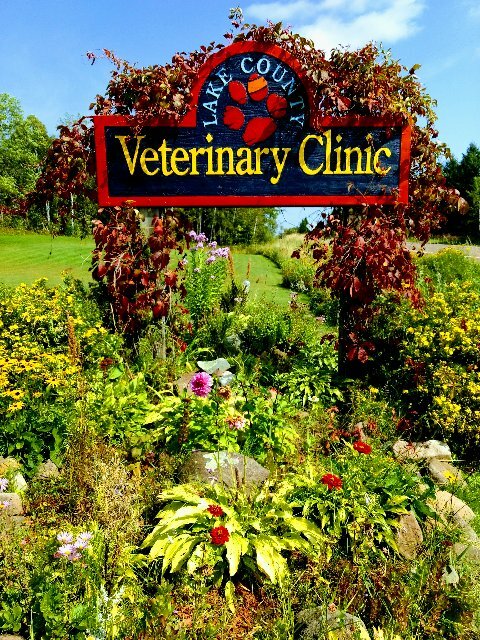 The Lake County Veterinary Clinic was founded in 1977. Dr. Mike Overend and Dr. Lucy Grina have owned and operated the clinic for nearly 30 years. We service Two Harbors and the surroundings areas as well as Grand Marais. This full-service facility includes state of the art laboratory and diagnostic equipment. We offer a wide range of professional services, provided with exceptional care and expertise. The courteous staff at the Lake County Veterinary Clinic seeks to provide the best possible medical, surgical and dental care for their valued patients. We are committed to promoting responsible pet ownership, preventative health care and health-related educational opportunities for our clients. Please take a moment to contact us today and learn more about our veterinary practice and to find additional information about how the Lake County Veterinary Clinic can serve the needs of you and your pet. Our mission is to provide excellence in comprehensive care for our patients with emphasis on patient comfort and compassion, preventative health care and client education. Please call us at 218-834-4234 to schedule an appointment or if you have a question about your pet! Our "Little Buddy, the best kitty in the whole world" we love you! See what a good job that Dr. Mike has done on Lucy's teeth! Slayer of Vermin, Guardian of Dog Toys; we love and miss you Nels. Although we had to part ways for now I will never forget the unconditional love you gave me. Even though there is a lot I will miss I am so happy for the time we shared. Until our spirits meet again rest in peace my sweet Scamper, I will always cherish the time we had, farewell with love. Teddy is happy in his environment! Lake County Vet Clinic office mascot! Zim was a very special dog, who touched the hearts of many during his time here at our shelter. Although he was very ill, he was loving and kind. He will hold a place forever in our hearts. Rest in peace Zim.